Make Every Day an Earth Day. | TonerGreen - Eco-Friendly Toners from the U.S.
Make Every Day an Earth Day. What is Earth Day? Earth Day is a day where people around the world hold events that shows their appreciation of nature and their willingness to take actions to protect it. A day noted as the celebration of the birth of the modern environmental movement. It was started by a man named Senator Gaylord Nelson, who became aware of the environmental changes that were happening. The world was getting polluted and many of our plants and animals were dying, in short, the Earth itself was dying. This led him to take action. He decided to have a special day to educate people and make them aware of the awful changes that were occurring on our planet, and why people should start making actions to protect it. 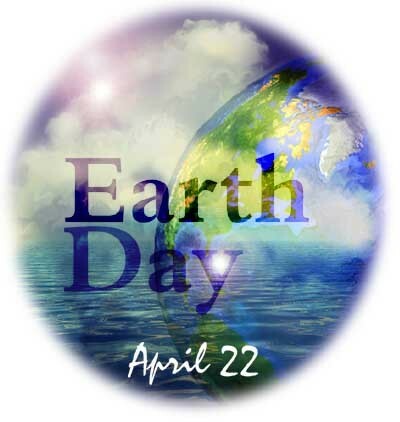 As as result on April 22, 1970, 20 million Americans took part on a national protest to save Mother Earth. This achieved a rare political alignment, enlisting support from a wide range of people coming from different ethnic backgrounds and countries. The protest to save Mother Earth was indeed working and in the year, 1990, a group of environmental leaders organized a big campaign subsequent to the former one. Earth Day went global, and the 20th anniversary of Nelson's national protest spanned 141 different countries and included millions worldwide. The whole world was finally celebrating Earth Day. What once started as national protest became a world campaign and is still ongoing today. A campaign to make people aware, adults and children alive, to take part in saving Mother Earth. 1.) Turn off appliances and lights when not in use - Turning off unused electronic appliances is a way of conserving energy. 2.) Observe proper trash disposal - Trash belongs in only one place, the trash bin. Don't just throw it anywhere. 3.) Walk or just ride a bike - If you are going somewhere near your house, walk or ride your bike instead of using a car. Aside from getting a good workout and saving fuel, you also help lessen the carbon dioxide being released in our atmosphere. 4.) Save water - If our water resources become too polluted, there will come a time when we won't have any water to drink. So conserve it. 5.) Support eco-friendly products/gadgets and remanufactured/recycled products - In this modern time, technology is indeed dominating but with it comes the development of eco-friendly devices and products such as solar chargers to eco-friendly printers with its eco-friendly printer toner cartridges and even energy saving LED signs. You see, it's simple. Every day could really be an Earth Day. If you just have the willingness to do simple acts that can help Mother Earth. Remember, no little act is wasted on this matter.